Mauricio Pochettino believes Barcelona are on a different level to Manchester United and has labelled the La Liga side as favourites to win a sixth Champions League title. United and Barcelona meet in this year's quarter-finals, a repeat of the 2009 and 2011 finals when the Spanish side twice came out on top. All four English teams made it through to the last eight, with Pochettino's Tottenham drawn to face Premier League rivals Manchester City. City remain the bookmakers' favourites to win the competition for the very first time, but Pochettino has other ideas. 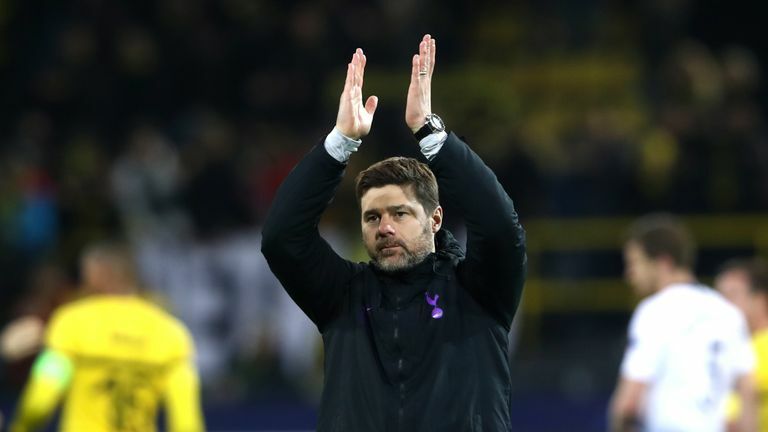 Speaking in Barcelona, where Tottenham spent time training last week, Pochettino said: "If there is one favourite team to win Champions League it is Barcelona. (Ernesto) Valverde is doing a great job. They have players of extraordinary level, and then they have Lionel Messi. "You have teams such as Manchester City or Juventus that will always have chances to win the competition because they are teams who are designed to do that. There is always room for surprises. And we hope Tottenham could be that surprise. "I think the Manchester United team that has been built during the past few years was built to win big things. But winning important competitions such as the Champions League or Premier League always depends on the small details. "Of course they have players able to make things difficult for Barcelona [in the Champions League]. But I think Barcelona are one step higher than Manchester United." 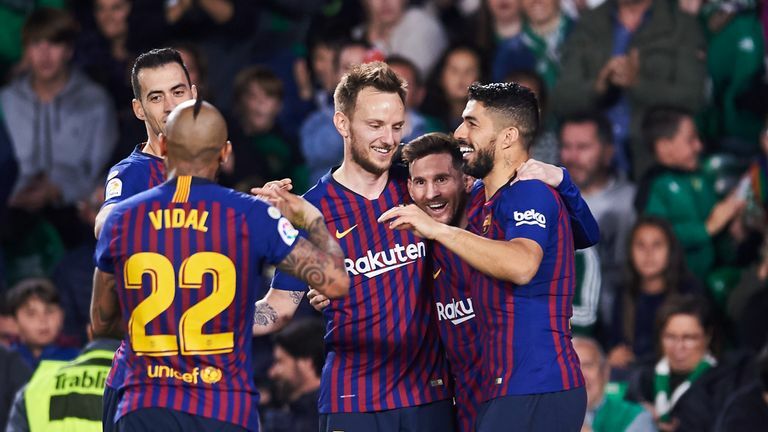 Barcelona made it six wins in a row with a 4-1 thrashing of Real Betis on Sunday, in which Lionel Messi scored his 51st career hat-trick. All three goals from Messi were memorable, with a superb free-kick to open being followed by a clinical link-up with Luis Suarez before the Argentine finished things off with a pinpoint late chip. "He (Messi) has been praised and will continue to be. He is the best player in the world. An extraordinary and unique player," Pochettino said. "But what is more surprising is his regularity in performing extraordinary things. That is the most surprising thing. "You can be a player able to do extraordinary things during certain games but to show it during every game you play proves an enormous merit." Asked about their next Champions League opponent, Pochettino added: "It is clear that Manchester City are a team designed to win and with an obligation to win. "They've been doing that for many years. Not only with the arrival of Pep (Guardiola) but also with (Manuel) Pellegrini and with (Roberto) Mancini they've been fighting for years and winning things.